That’s the view of Scottish swing coach Bob Torrance, who believes that Harrington is a fearless warrior who can’t wait for the chance to take on Tiger down the stretch at Augusta National. After spending 12 years rebuilding his swing with Torrance on a freezing driving range on Scotland's west coast, Harrington badly wants to duel Woods down the stretch and take his place amongst he greats of the game. Assessing Harrington’s chances at Augusta, Torrance said: “Padraig’s been a very confident player for quite a few years now. Very confident. “He might not say it publicly but Padraig knows that there isn’t a player out there that he can’t beat. Not one. He knows that he can take them all on and beat them. “He’s fearless. He’s frightened of nobody. He would be more than happy to go out and play the last 18 holes in the Masters tied for the lead with Tiger. That would suit him down to the ground. “And that’s simply because he loves the game, he has worked so hard on the game and he hasn’t worked all these years for nothing. He is a very strong man, physically and mentally. If he triumphs at Augusta, Harrington would become just the third man since Woods and the legendary Ben Hogan to win three Majors in a row. And Torrance can take some of the credit for the Dubliner’s transformation from a poor ball-striker into one of the best in the game. While he once hit a low fade with little power, Harrington is now one of the longest hitters in the world - a super ball-striker with a penetrating draw. 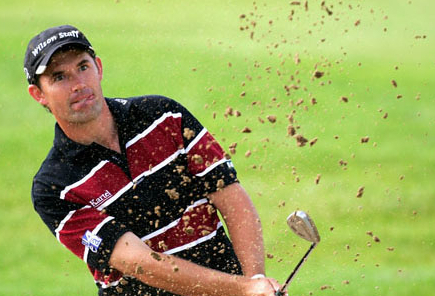 Torrance explained: “The first time I set eyes on Padraig's swing, he had no leverage. He hit the ball no distance. He was a poor striker. The flight on his shots had no penetration. “But Pádraig was prepared to get worse in order to get better. Not many are." Harrington is not the finished article just yet, despite more than a decade of hard work and millions of golf balls hit on Torrance’s sub-zero range at the Inverclyde Sports Centre in Largs, western Scotland. But what is it that makes him so strong when the chips are down? Torrance chuckles at the question, responding: “He’s Irish. It’s like us Scots, we’re a strong people and us Celts have to stick together. Torrance has spotted the changes in Woods swing over the past nine months and believes the American has more control than ever. But Harrington has also been making improvements. Preparing Harrington to win all four of the modern Majors is Torrance’s quest and they’ve worked hard to create a new ball flight as the Dubliner battles to complete the grand slam set by adding the Masters and the US Open to his CV. A new, steeper angle of attack will make it easier for Harrington to drill his shots into Augusta’s car bonnet greens with more control next week. Torrance said: “He is trying to keep the ball down a bit. His launch angle it too high and he tends to hit underneath it a wee bit. The trajectory is too high after impact. “We are getting steep on the ball to improve his strike so that he can compress the ball more, the way Jimmy Bruen used to do back in the 30s and 40s. 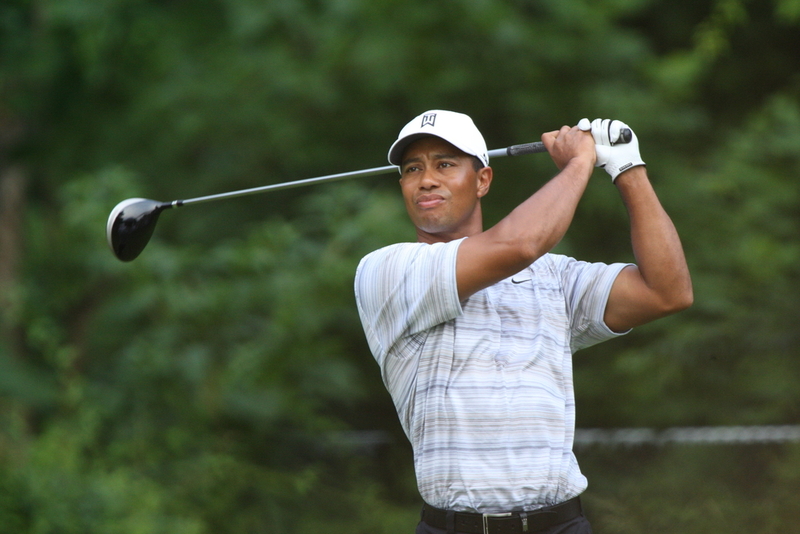 “He is trying to come at the ball steeper to get more penetration in his flight. It is the launch angle of the ball leaving the club. It will come in high but it will still be going forward when it is landing, instead of dropping straight down. “There will be more backspin on the ball. A ball that drops straight down from the sky is not going to come back. But a ball that comes in lower with spin is going to go forward and then screw back. A sweet draw is Harrington’s shot of choice but whatever happens at Augusta, Torrance has given his top pupil the same advice he’s always given. He said: “It’s twelve years since I picked up his golf balls for the first time. We do it together now because we are a team. If you see Harrington smiling at Augusta, get ready for another major treat.